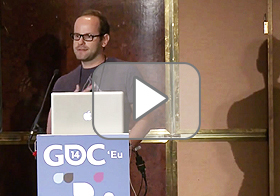 I gave a talk at GDC Europe 2014 titled, Four Film Narrative Techniques That Every Designer Should Know. Unfortunately the video is only available to those subscribed to the GDC Vault. The talk does not cover story writing techniques but focuses on the art of storytelling. The presentation explores the mechanics of film and animation transitions and their impact on audience engagement in a narrative. Featured video examples illustrate the do's and don'ts of translating these techniques to gameplay, in-game visuals, and cutscenes in indie and AAA titles. MORF is a simple experimental game relating to the dynamic composition framework. 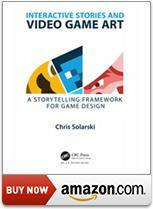 Adaptive Gameplay Aesthetics: A Disruptive Game Design Framework, is based on Interactive Stories and Video Game Art, with original content and refinements that have arisen since the book was published. 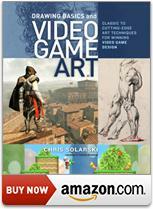 Readers will gain in-depth insights into shape language and composition, tracing the lineage of these long-standing techniques from antiquity to contemporary mainstream culture and games. Practical exercises throughout the essay provide design tools for averting ludonarrative dissonance, and demonstrate the shortcomings of the magic circle metaphor, and common misconceptions regarding Marcel Duchamp's teachings on objects and meaning.